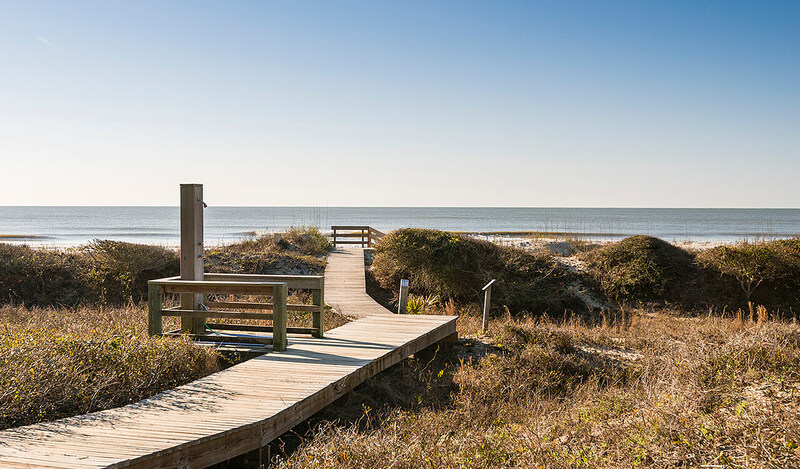 3584 Shipwatch Road is a beautifully renovated end-unit villa located on the first level of the Seascape Villas, just a two-minute walk to Kiawah’s beautiful beach. 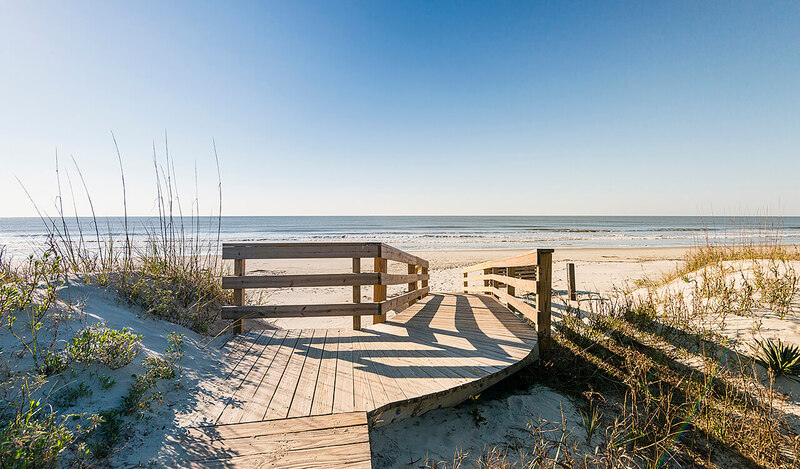 The villa is also near the private pool, outdoor bar and grill, fitness facility, and oceanfront veranda at the Sandcastle, and in close proximity to the revitalized West Beach area. 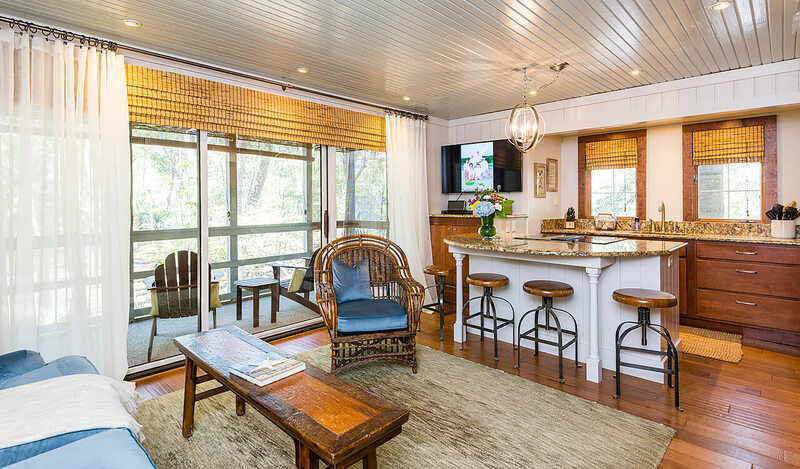 The one-bedroom, one-bath getaway has been updated with a unique, comfortable floor plan that takes full advantage of every space within the villa’s 615 square feet. 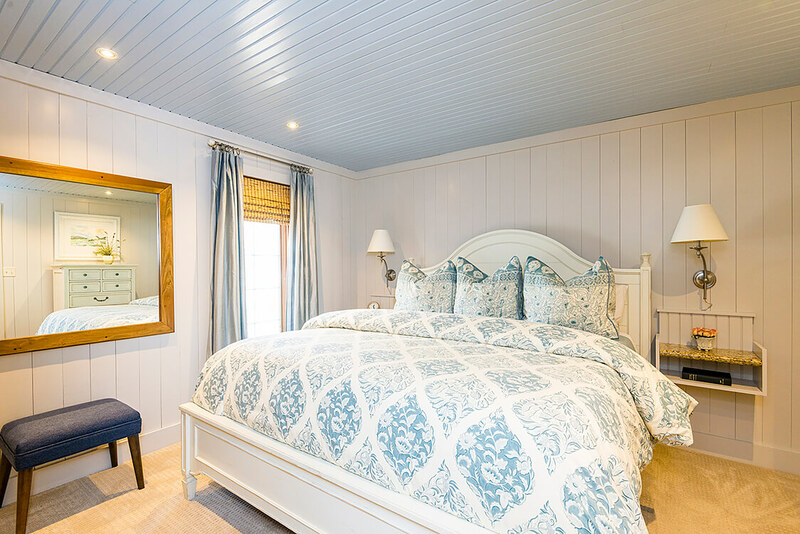 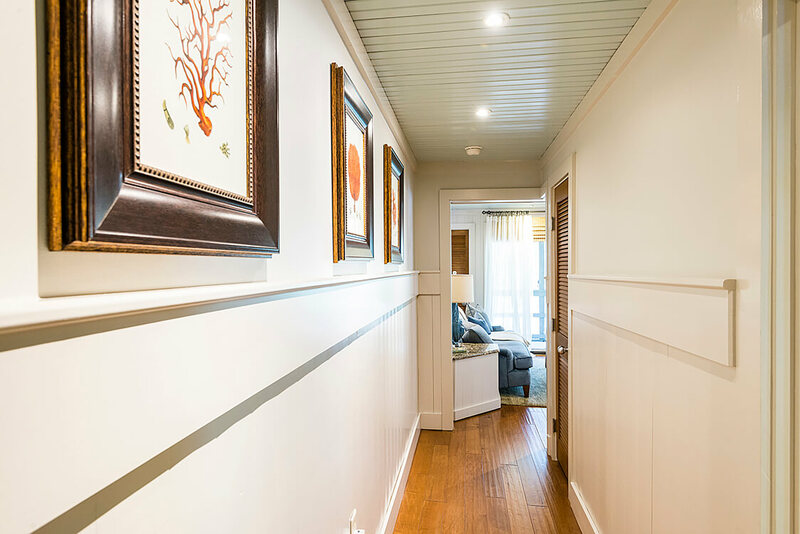 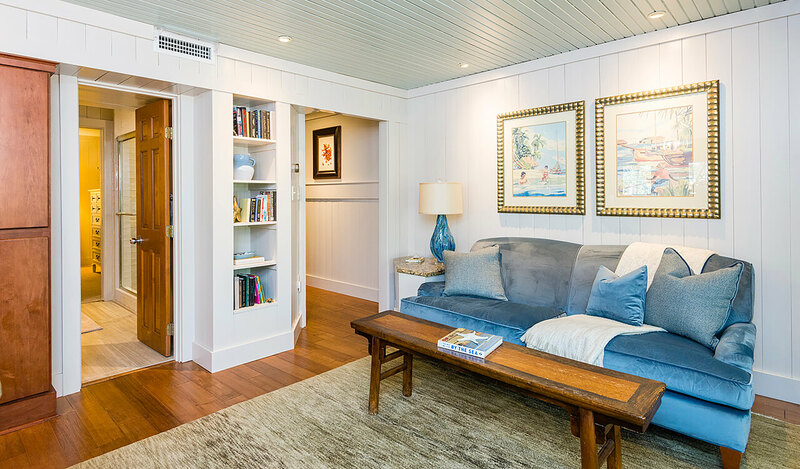 The upgraded interior features hardwood floors, wood paneled walls and shiplap ceilings, and fresh paint throughout, as well as coastal inspired furnishings and decor. 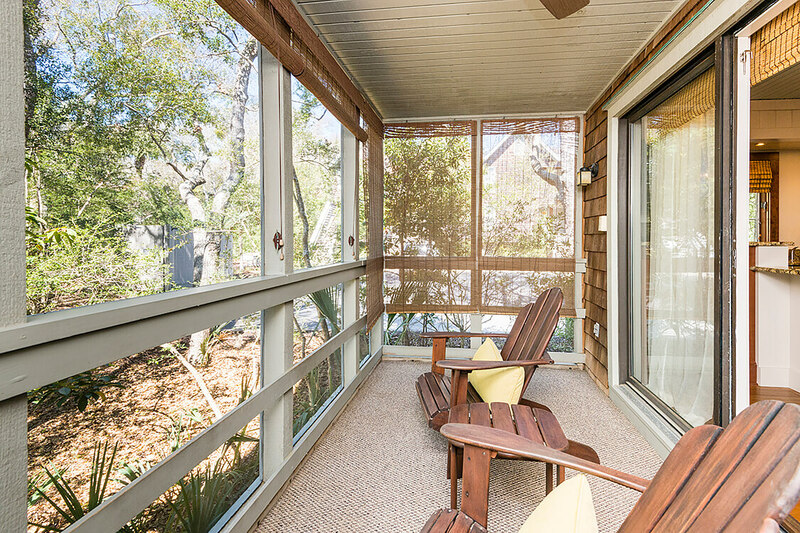 In the living room, large sliding glass doors allow for abundant natural light and open to the screened porch, which overlooks lush maritime forest. 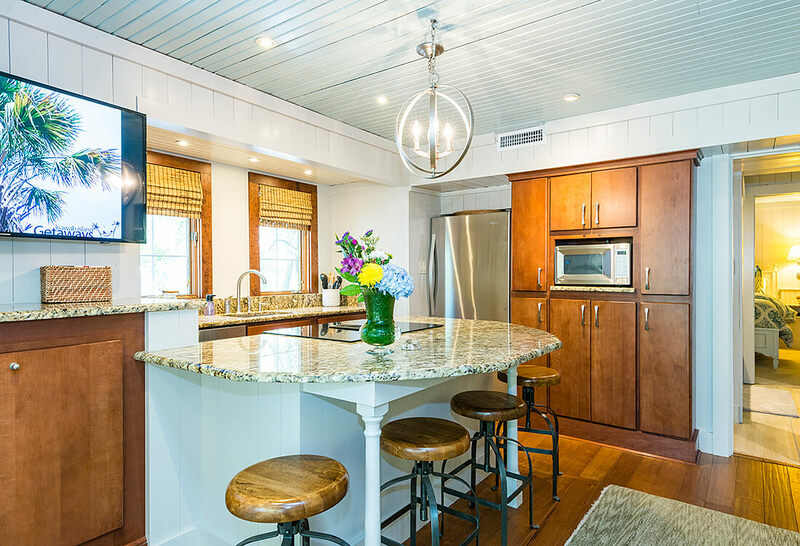 The updated kitchen boasts a layout and design very unique to other Seascape Villas. 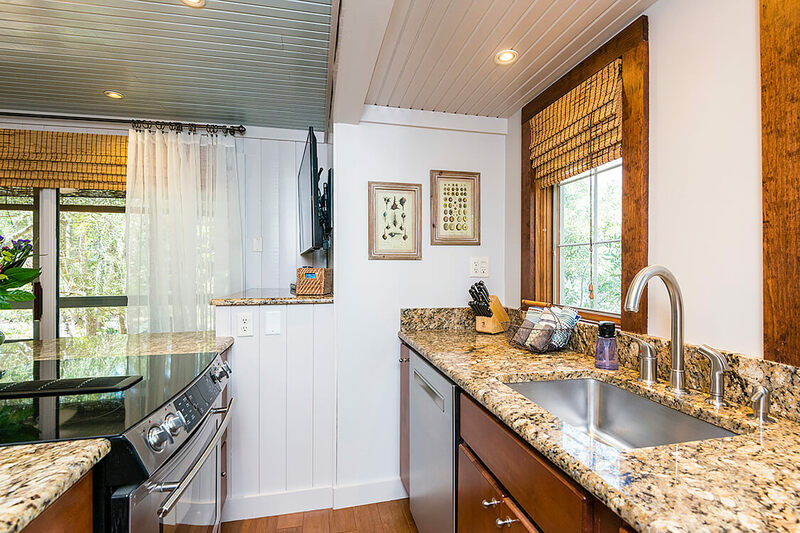 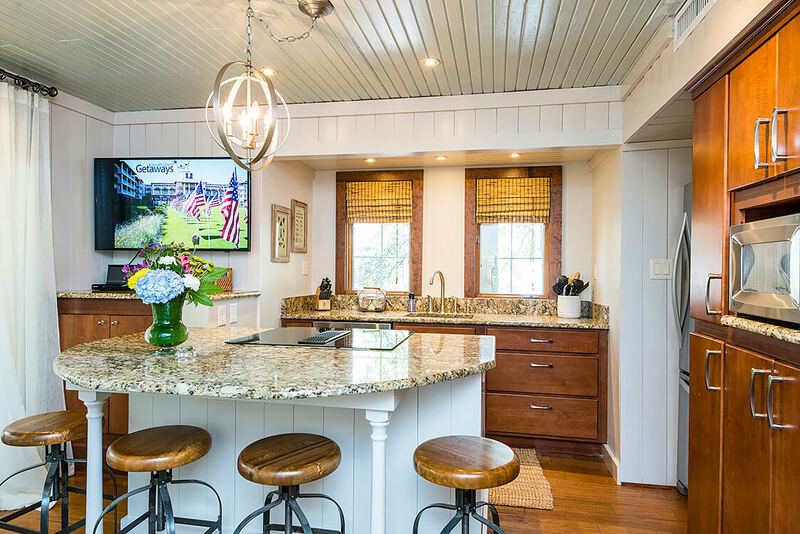 The non-galley style space has attractive custom hardwood cabinets and granite countertops, a center island with a cooktop and bar seating, and stainless steel appliances. 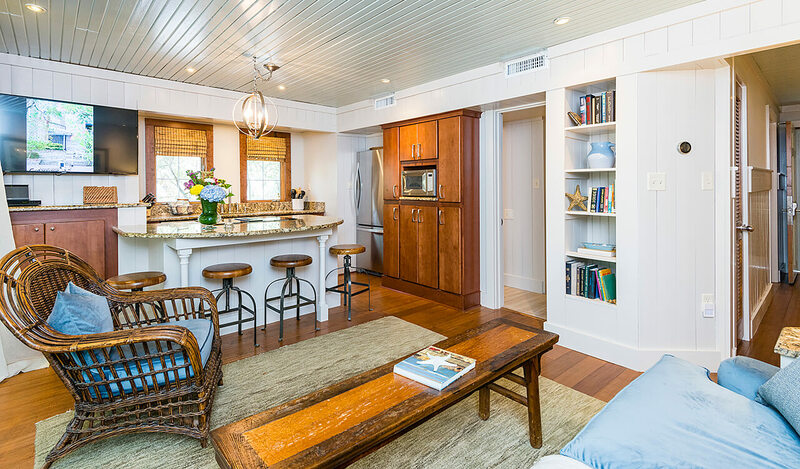 The kitchen also overlooks the living room, which is perfect for entertaining and hosting. 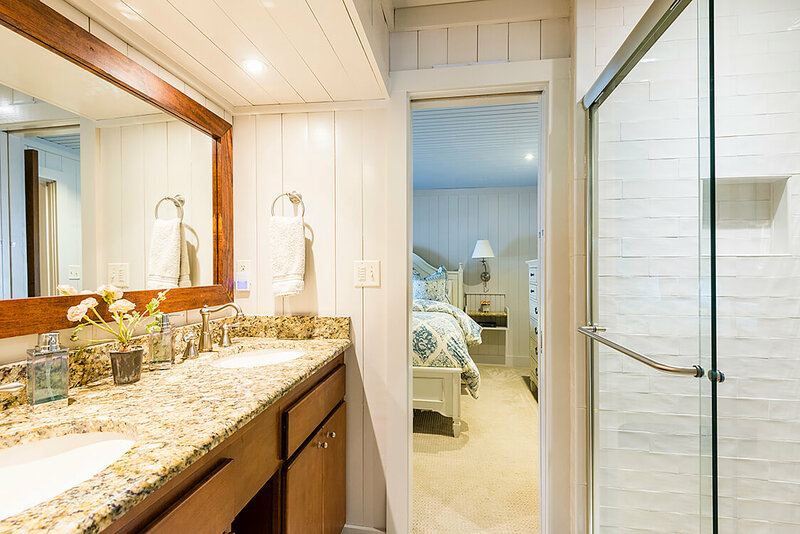 The bedroom is a peaceful retreat with the same coastal elements found in the living room and kitchen. 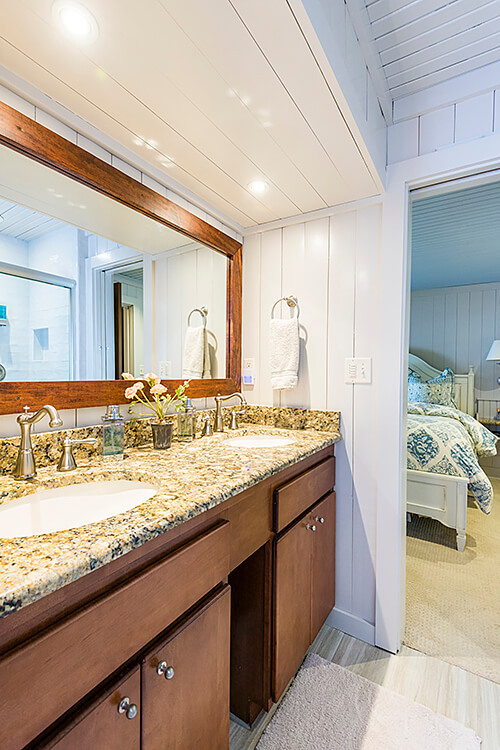 The large bathroom has also been renovated with dual sinks and vanity with granite counters, a large walk-in shower, and separate water closet. 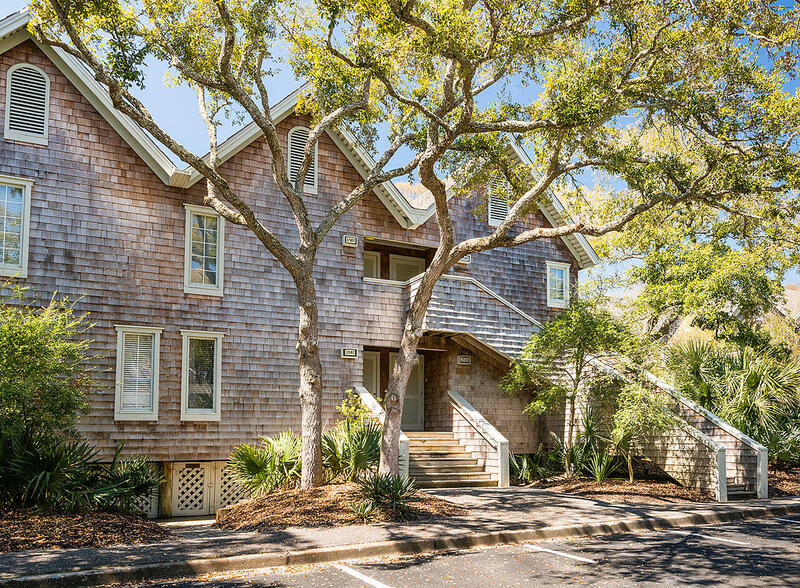 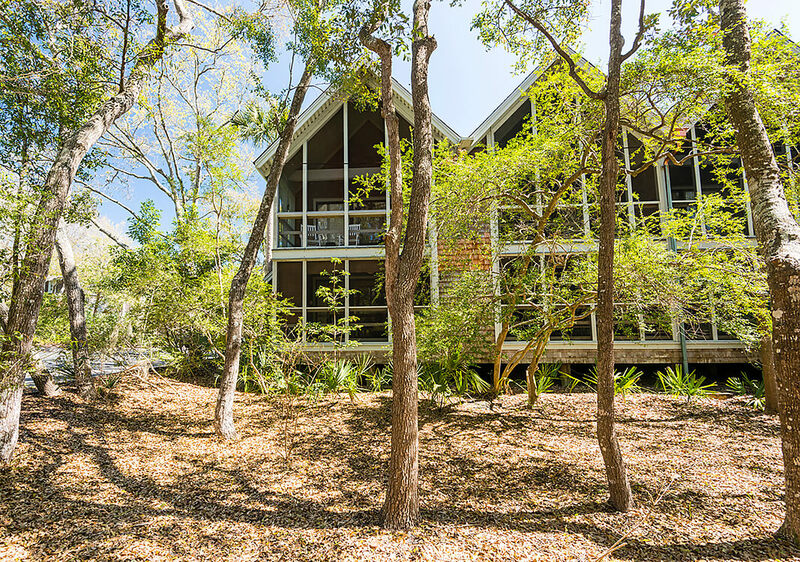 3584 Shipwatch Road is easy to maintain for owners and has an outstanding rental history due to its size and location near the beach. 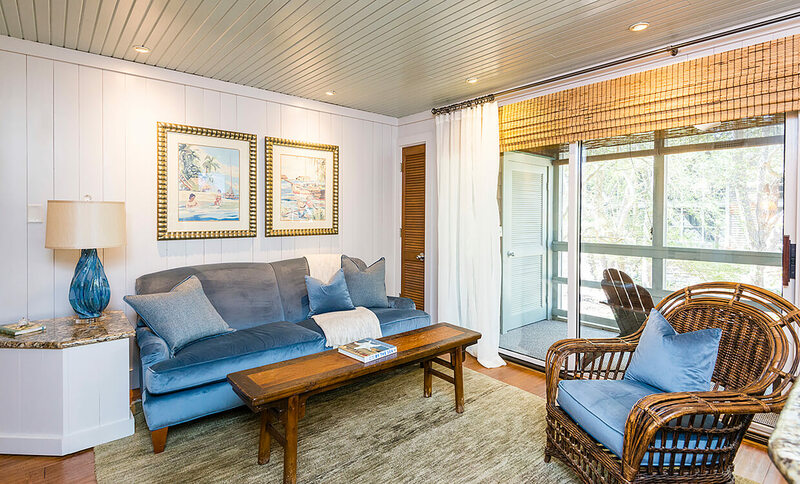 The villa is available fully furnished.